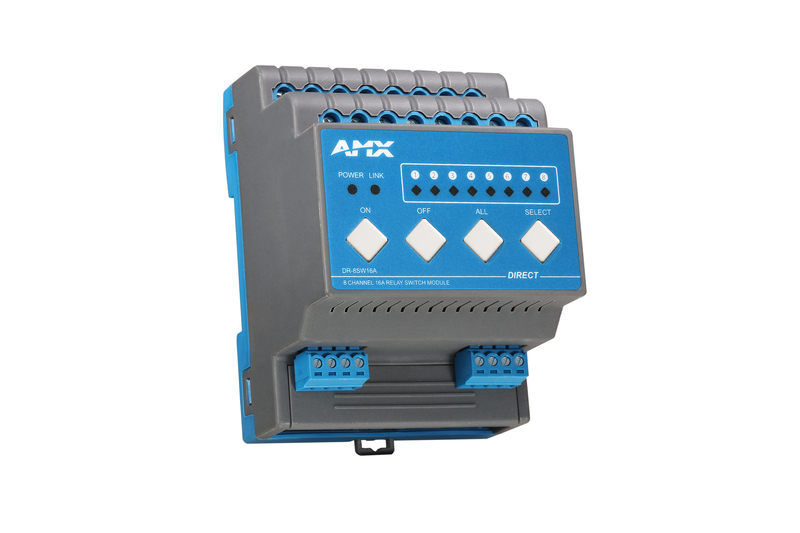 DR-8SW16A Relay Switch is designed for DIN-rail installation and provides 8 channels of relay switching signal, each channel having independent control of the 3520W device connected. Built-in emergency switch for quick preparation prior to commissioning. LEDs indicate status of each channel switch. Configurable interlock groups for control of four sets of shades. 8 channels use Tyco dual contact relay for switching on or off its 16A circuit. Each channel has independent switch control of the 3520W device connected. Configurable initial value of each channel. Sequential start of each channel to avoid power grid turbulence due to simultaneous startup. Two interlock logic groups for control of four shade sets. 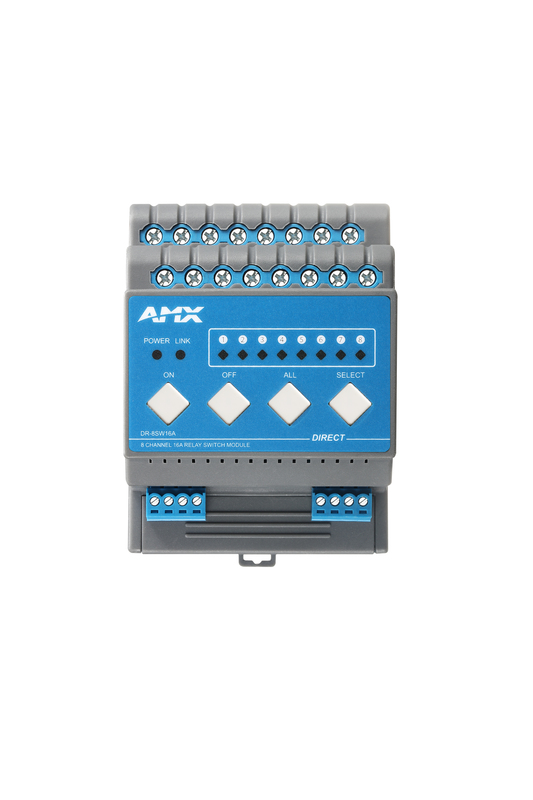 Three interlock logic groups for control of two A/C’s speed settings (low, medium and high fan speed). Immediate report to control center the status of each channel switch in case a scene command is executed. 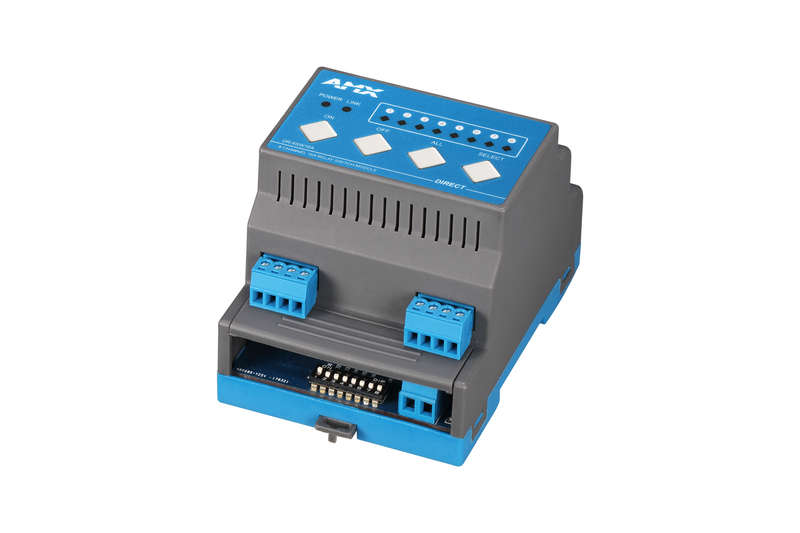 Local or remote programming and commissioning. Built-in emergency switch for quick preparation prior to commissioning. LEDs indicate status of each channel switch.